Internet Protocol (IP) characterization is the process of classifying IP packets into categories, mainly depending on information in the header. 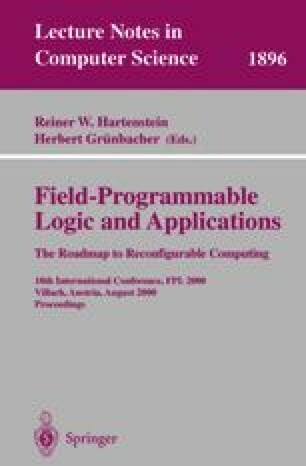 This report describes the implementation of an FPGA-based dynamically reconfigurable Content Addressable Memory (CAM) for IP version 6 (IPv6) characterization. This CAM is characterized by a large width of the search word, a relatively small number of CAM words (i.e. several 100’s) and the fact that these words may contain ‘don’t cares’. The CAM is updated by dynamic reconfiguration and has a novel architecture that allows the space, that each single CAM word occupies, to be variable. A priority mechanism has been developed which allows also to explicitly assign a priority to a CAM entry. This way, CAM words can be added/deleted in a more efficient way.